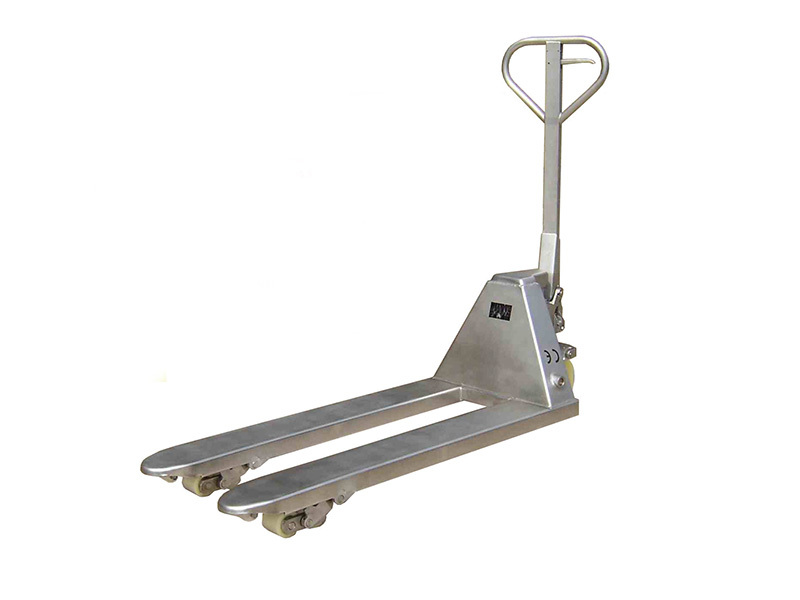 What is the purpose of the Stainless Steel Hand Pallet Truck? 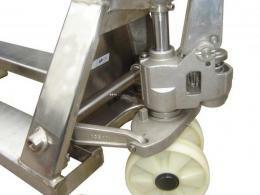 The Stainless Steel Hand Pallet Truck is the perfect option for anyone who works with destructive substances. The stainless steel covering every inch of this pallet truck creates a durable product that will withstand corrosive substances such as acid, chemicals, salt, or water. Between the material and this pallet truck’s ability to hold up to 2000kg of weight, you can count on the Stainless Steel Hand Pallet Truck to support all your on-site needs. While the Stainless Steel Hand Pallet can handle just about any load, it is ideal for work environments involving corrosive substances. Even if you don’t have corrosive substances at your work place, a stainless steel pallet truck can be a good option, because it is durable and heavy duty. Stainless steel is easy to clean and perfect for a hygienic work site. If you are tired of replacing your ruined pallet trucks, then the Stainless Steel Hand Pallet Truck is perfect for you. The robust material can withstand all sorts of wear and tear and will serve as a great tool for transporting materials, supplies, tools, and more. 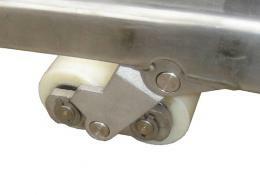 The Stainless Steel Hand Pallet comes with a nylon steer and nylon load wheels, but other wheels are available upon request. The fork has a lift height of 85mm up to 200mm. 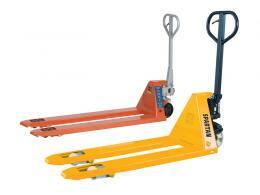 Order your pallet truck today and we will deliver it free of charge in 3-4 days. We have a low price guarantee and offer a one-year warranty for parts and labour. If you are unsatisfied with your Stainless Steel Hand Pallet Truck—which we do not expect to be the case—you can take advantage of our easy returns and exchanges.